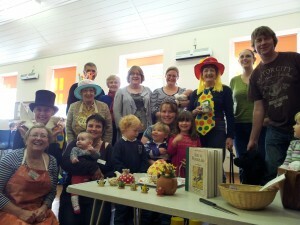 A 3rd birthday party for Tarves’ Community Cafe was given a Mad Hatter theme this week. The volunteer helpers were dressed in ‘appropriate’ attire including top hats, bunny ears, birthday cake hats (Yes ..it’s Edith) and giant clown kipper ties. The cafe raises funds for the Kirk and is a popular regular meeting point on the first Friday of each month for local folk. Congratulations on the 3 years and hope for many more fun filled occasions.